IPSR graduation ceremony was held at IPSR on 24-th March. 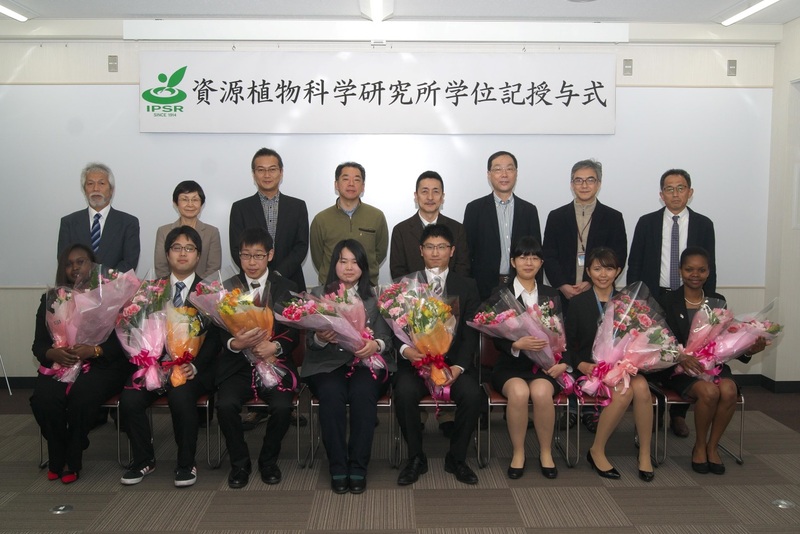 Six MSc and two PhD degrees were awarded by the director M. Maekawa to Okayama University Graduate School of Environmental and Life Science students at Kurashiki campus. We wish our graduates the very best of success and look forward to seeing them again during alumni reunions at Okayama University and IPSR!